Rabbits have been relentless eating down our second year poke plants…hoping this changes as the milkweed patch becomes more mature. Which other milkweed species has a lot in common with poke milkweed? Cut Me- If you don’t want seeding to occur, cut the pods off prematurely or place rubber bands/twist ties around the pods and harvest them when they start to open. I have acquired a single poke milkweed plant from another Monarch gardener in my area. I am curious if it is a self fertile plant. It is a first year plant so I’m sure it will be 1 or even 2 more years before I have my own seed supply. Keep up the good work! Hi David, all you need is one and a few pollinators and you should have plenty of seed growing forward…good luck! I have poke milkweed pods my husband picked before they burst open. He thought he was doing me a favor by doing so. Will the seeds/pods mature even though they have already been picked off the plant? I looked at one of the pods and the seeds are white and I pretty sure they are suppose to be brown seeds. 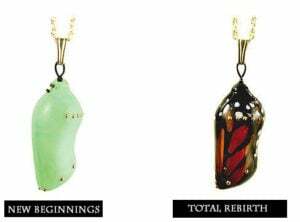 Hi Tiffany, they were plucked too early so they will not be viable…sorry. Do you happen to have a picture of the hybrid plant? Can we just go and buy milkweed plants from you??? I have wild milkweed that comes up every year within my shrubs behind my house. I have never seen it bloom until this year after cutting it back. The blooms were small, white, and didn’t last long. The seed pods look like string beans! Is this common milkweed? All of my poke milkweed is turning yellow, and eventually the leaves are just falling off. New growth out of the ground looks fine so far, but what was originally on the plant when I transplanted them is all dying – even the flowers just shrivel and fall off without forming a pod. Is it possible they are getting too much shade? The one in the darkest spot was the first to go. The ground is moist, so perhaps the problem is too much water? Any ideas? Hi Jessica, this is the first year we’ve had mature poke milkweed since putting up rabbit fencing. It’s fading very early and already has milkweed pods. I am going to try cutting some of it back to see if it puts out new growth, but this seems like a milkweed species that probably peaks in spring. 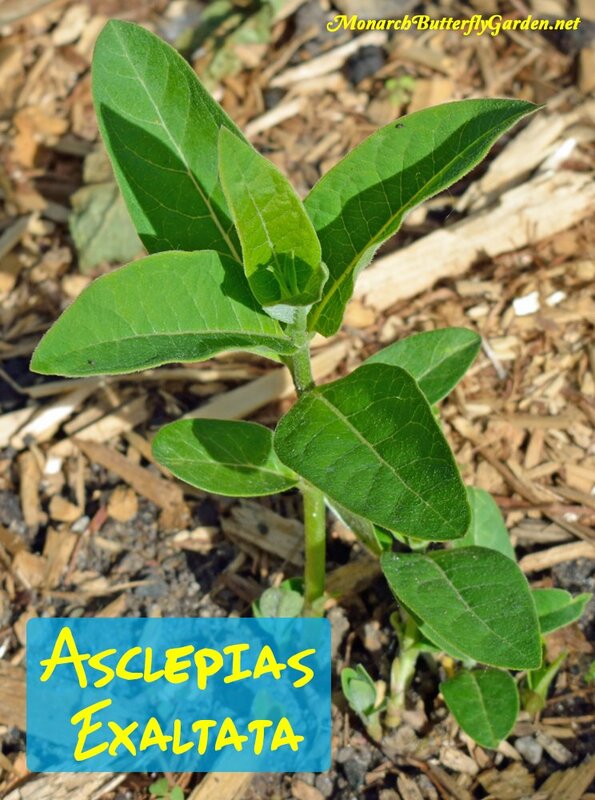 If yours isn’t forming any pods, you might try transplanting some to a sunnier spot. good luck! 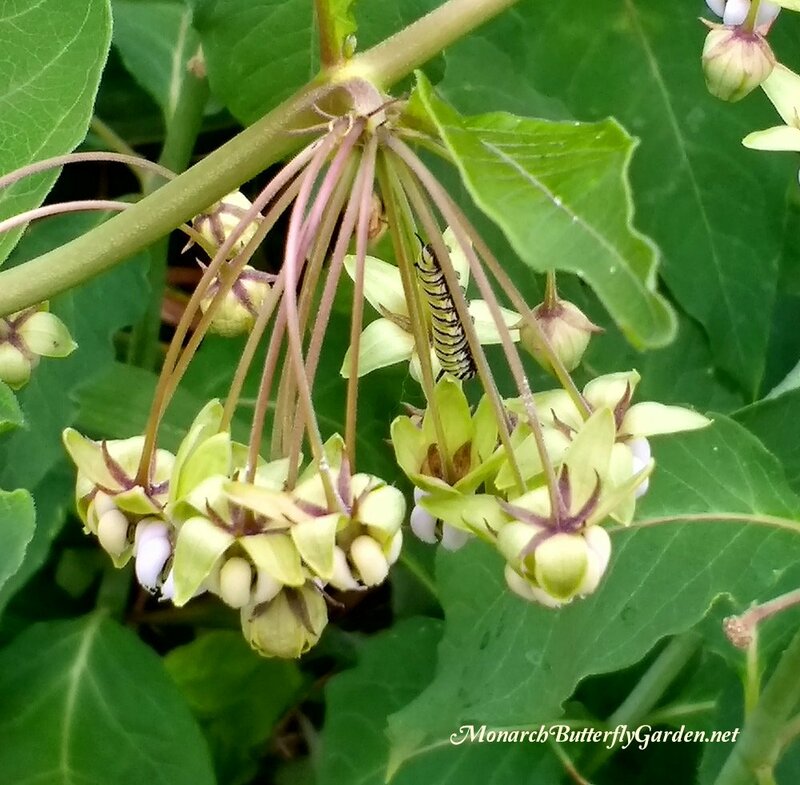 Do Monarch butterflies utilize Poke milkweed for egg laying? Is it too late at this point to plant poke milkweed in Massachusetts? Thanks! 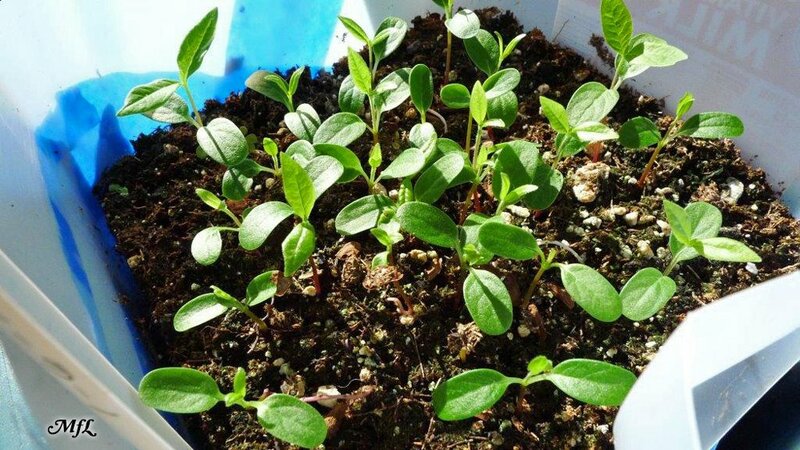 Do you have photos of polk milkweed seedlings? I started a lot of natives from seed, but my tags did not stand up to winter weather so I don’t know what’s what. Have some common milkweed in the mix, too. 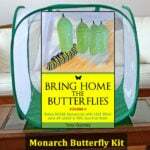 Going to be working on a monarch waystation shortly. I read your comment about your plant tags not holding up. May I suggest you give tags made from the plastic (or even the aluminum) mini blinds a try. The material is easily cut with a pair of scissors, you can cut them to any length, make one end pointed if you like and if you use a dark carbon lead pencil to write with on these home made plant markers, the writing will hold up through the seasons. Some people use a paint pen, which works beautifully, but they are a bit costly and for me, dry out during a season once they’ve been opened. Pencil works very well for me. A small plastic mini blind can be purchased from Wal-Mart for less than $3.00. This one small blind will make many, many markers at a fraction of the cost of purchased plant markers. I live in the hot SE and these markers last well for me. Good luck with your Butterfly garden. What are good nectar plants for the poke milkweed that likes it shady? Usually under the cons section there is something about aphids. Obviously, milkweed naturally attracts them, but is this one somehow less prone to aphids? 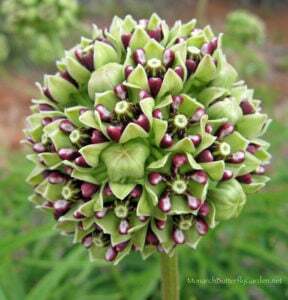 Your picture of the Poke milkweed is wonderful! May I have your permission to include it in the Power Point I am creating on butterfly gardening? I love your instructions for winter planting milkweed seeds in milk jugs. I did it last winter and had great success. Presently, I have a dozen jugs sitting in a snow bank….last weekend’s snowfall buried them! Wish I had some Poke MW seeds to plant!!! Hi Judy, it’s a public domain picture that I edited for the website. Feel free to use it, but also credit the name linked below the photo as the actual photographer. 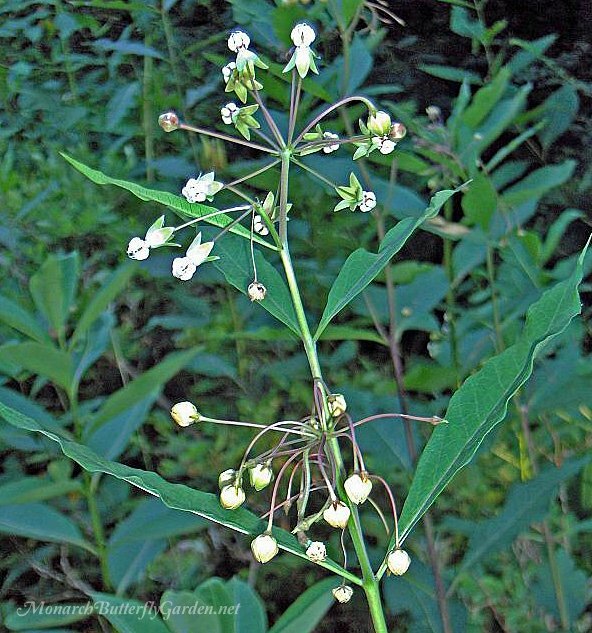 As for finding poke milkweed seeds, there are some available if you click the resources link at the bottom of this page. Good luck with your power point! does this like to grow in with poke weed? i have a wild greens garden and several plants of poke. 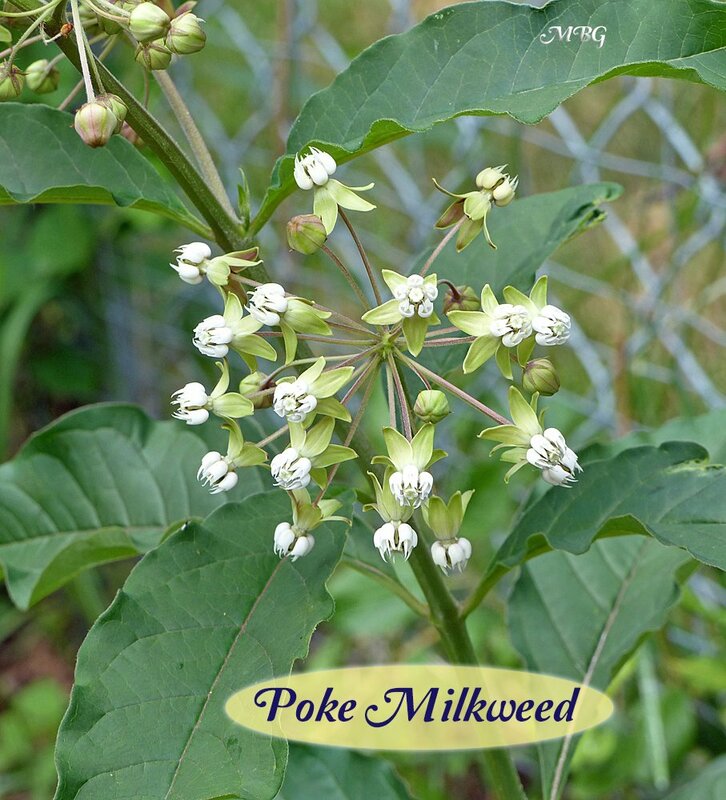 are you asking if poke milkweed can be grown with pokeweed (Phytolacca americana)? If so, I’ve never grown pokeweed so the all I can recommend is that you try adding a couple poke milkweeds and see how they fare. You can always transplant later if the experiment isn’t successful…good luck! can I dig poke milk weed and transplant? It is now September 2,2014 and I am in Ohio…………I just found a plant growing under one of my trees. I would like to keep it to add to next years garden. Thank you for any info. I am actually transplanting ours because they got swallowed up by the Mexican sunflowers. Fall is a good time for planting and transplanting because the extreme heat has subsided, but there’s still room for roots to get acclimated. Make sure you dig deep enough to get the entire root system (or most of it). 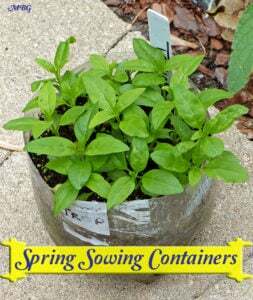 Make sure the soil remains moist for the first couple weeks after transplanting. If the plants still look stressed after a few days, you can also cut stems and foliage back. If the plants are mature, try cutting stems and foliage back (and water thoroughly) a couple days before transplanting.